Baader 2" Clicklock 2" CL Extension 47mm. 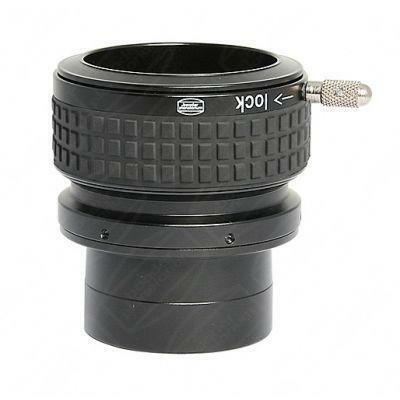 This item incorporates Baaders innovative Clicklock system for use with 2" eyepieces, insert the clamp into your scope and then use the extra strong click lock to hold eyepieces safely and securely with the option to swiftly remove and insert eyepieces easily. Also features 2" removable barrels with M48 2" filter threads.